For the latest edition of HEAT, we picked the brain of one of our favorite social media gurus, Mike Troiano (@MikeTrap), to find a little bit more about how he has made the transition from “varsity ad guy” to popular social media branding blogger at http://scalableintimacy.com/. Mike, currently based in the Boston suburbs, is constantly providing his readers and followers with insights into how brands should operate in a “social” online environment (my favorite tip from Mike: “Brands on Twitter that don’t follow you back might as well stick to print. Or draw on caves”). Read on for Mike’s thoughts on how social media can help brands build scalable and intimate relationships, the “socialization” of B2B marketing, and the importance of maintaining a stable “buzz” at the social media cocktail party. 451: You have a extensive background of experience working in the ad business. When did you realize that you wanted to make the shift into digital marketing and found Ogilvy & Mather Interactive? Actually, was it your choice? MT: No, that one actually wasn’t. I was working for Martin Sorrell at the time as a kind of troubleshooter, and he sent me in to fix “a problem at Ogilvy with American Express.” The solution to that problem became O&MI. 451: When you first started the interactive side of the agency I bet you never could have anticipated that the Internet would look like it does today, littered with social media technologies. Am I wrong? Did you anticipate that this would eventually be the web’s next big progression? MT: Looking back, the signposts were there. It was obvious to us that e-mail and chat were the real engines of AOL, not the “professional” content. But did I envision that leading to YouTube, Facebook, Twitter et al? No way. 451: So tell me a little bit about where you are now, and how you are attempting to make sense of the shift in the way that we all interact with brands and media. Are you 100% invested/convinced in the viability of the social Web to be the central focus of marketing for the foreseeable future? MT: Yes. I would go so far as to say that while the move to digital media was incremental, the move to social is transformational. At the risk of sounding like a pretentious geek… we’ve reached the end of the broadcast-dominant paradigm. Brands need to make the leap and engage to stay relevant, or – eventually – they’re going to dry up and blow away. 451: You do a great job describing your blog and overall thesis of social media marketing on your blog’s “Manifesto,” but can you give us a high-level overview of what you mean by “Scalable Intimacy” as it relates to social media? MT: Scalable Intimacy is how I think about the true promise of social media… to enable brands to build the kind of “intimate” relationships that are only possible with authentic dialogue, on a “scale” sufficient to impact the operating results of the enterprise. That’s it. MT: It goes beyond sales and beyond leads. Activation might enable a brand to answer a critically important product question in a timely fashion, or reduce their unit customer service response cost, or grasp the external reality in a way that influences their business strategy. It depends on the business goal, really. Engagement is about creating the means; Activation is about delivering the end. 451: Do you have any examples of companies that have effectively developed marketing content online that is engaging enough to drive a good amount of activation? MT: The usual suspects… JetBlue, Dell, Zappos, all do both to one extent or another. HubSpot offering a free SEO audit to people who visit it’s content-crammed blog… that’s activation. Tony Robbins interspersing product promo with inspirational messages on Twitter is another. Chris Brogan using his online influence to drive attendance at his shows… It’s everywhere, I think, at least among people who seem to know what they’re doing. 451: It is typically harder for the B2B marketer to be “social” with their brand. Have you found that the social web opens up opportunities for these marketers that may not have existed before? MT: I guess. If you’ve ever been to a B2B trade show, you know there’s a strong social component in meatspace. When a critical mass of decision-makers in those industries are on the social nets – as is inevitable – it will happen there as well. 451: Where do you see this all going in the next 5-10 years, and what will the typical brand manager/marketer look like? MT: Wish I knew. What I do know, though, is that brand managers will start to look a lot more like sales guys, and a lot less like MBA-types. It’s time to get dirty and go sell some sh*t. Old school. 451: Lastly, riffing off the “social media is a cocktail party” analogy. What if you’re a brand that has a “drinking problem,” likes to take things to the next level, and is often too edgy or over-the-top? Do you play in the social media marketing sandbox too and risk doing something controversial, or do you stay out? MT: Social media is about doing stuff that’s worthy of attention. If the attention you get is negative, adjust your behavior. Most attention is good, though – just don’t be more “drunk” than the people you hang out with. If you own a business you probably have a website (if you don’t, get one…fast!). If you have a website, then you have undoubtedly heard the term “SEO”. Well, what exactly is “SEO”? It’s a question I ask people regularly and I am still amazed at the myriad answers that I receive. The simple answer is that it’s an acronym for “Search Engine Optimization”. Most people get the search engine part; it’s the optimization part that usually has them stumped. Regardless of their level of understanding, the typical response is “I’m not really clear on how it works, but I know I should be doing it.” And they’re right! If you’re not optimizing your website for search, you’re missing out thousands of potential business leads! So what is it? SEO is a unique, and highly effective, approach to internet marketing that aims to improve the quality of leads driven to a company’s website via search engines. More technically, SEO is the strategic and thematic alignment of specific keywords with content and HTML code. The goal is to increase the relevance of keywords within the text copy so that search engines will view it as pertinent and easy to index. Put a bit more simply: it is the process of making a website more attractive to search engines. The more attractive it is, the higher the rank. As an inbound marketing strategy, SEO takes into consideration two things: the nature of search engine spiders and how they crawl the web, and the way in which a potential consumer will search for services. Research shows that people are inherently drawn to the top five entries on the first page of a search result. The higher the search rank the more credible the source is perceived. Imagine if your company’s website came up first when a potential customer searched for the specific services you provide or the products you sell. Your company would be perceived as the best, most relevant source for whatever it is you sell or provide. The purpose of any company’s website is to attract online users and business, and numerous studies have shown that the majority of online users find what they are looking for via search engines. This means amazing possibilities for business lead generation! In today’s Web 2.0 world, people want to find information on their own and be engaged by it. They do not want to pick up the phone and listen to a sales call when they can search for the information they want, when they want to search for it. As a business, that means that you want to be front and center whenever a search is performed on your particular services. Let your customers find you on their own – which they happily will – and when you ask them how they heard about your company, don’t be surprised when they say “Google”. Looking For Leads? Play Ball! A successful inbound marketing campaign, one that provides a higher ROI for clients than traditional marketing communications plans, has a lot of similarities to a winning baseball club. In order to win consistently in baseball, you need to be able to take the lead by scoring more runs then your opponent. To maintain the lead, you need quality defensive play and pitching. Inbound marketing, also known as “non-interruption” based marketing, blends similar fundamentals into one winning strategy. Toting a core “lineup” of developed products or service offerings, backed by defined messaging, effective inbound marketing strategists get on the “offensive” by engaging with prospects in a meaningful and targeted way. The professional inbound marketer, like a .300 hitter, knows his/her prospects better than his opponents do. He is familiar with the specific channels that his prospects are using to communicate online and offline, and then implements the tactics (search marketing, social media marketing and public relations) that establish the “connection” needed to deliver more qualified new business leads. These tactics and strategies are more effective than old marketing standards like cold calling and traditional advertising. More often than not, these techniques merely manifest as wild swings-and-misses. And like any successful baseball team, an inbound marketing program needs to be managed with exceptional scrutiny. An effective offensive strategy develops the appropriate web platforms, including an optimized and web 2.0 friendly website, and measures traffic and lead capture on a daily basis. When spikes and other issues arise, adjustments are made, like managers culling through their dugout and bullpen to see what other tools they have at their disposal. Company blogs can be developed to proactively spread the company’s message, public relations tactics can be employed to seed the internet with on-message editorial content, and other social media channels are identified and utilized to interact with prospects on an opt-in basis. The ROI of all tactics are tracked through statistics such as conversions, back links and traffic. If something is not working, it returns to the bench. Quality defensive play alongside excellent starting and relief pitching helps to maintain all runs scored by a potent offense. Likewise, any good inbound marketing campaign leverages the appropriate techniques to cultivate a new lead, and hold on to it through sale. 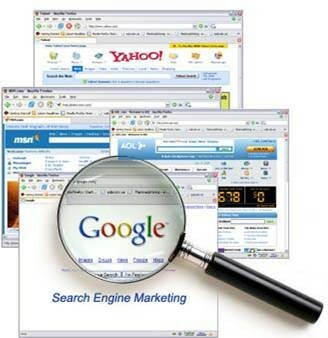 Search engine optimization techniques can help a company “defend” against negative news and information on the web, while other social media monitoring tools enable the quick identification of current client issues that could damage a future relationship with a prospect. Even traditional public relations tactics, such as crisis communications, blend well with a defensive strategy that focuses on maintaining the lead without starting a new conversation. To nurture those leads, provide your prospects with the content they can’t live without to ensure they remain engaged; accessible white papers, frequently updated blogs, a steady stream of search optimized press announcements, and an open dialogue across all social media platforms. Like any good set-up man in baseball, an inbound marketing campaign holds the door open for the closer to seal the deal.